Our Newby Road facility is fully equipped to carry out all forms of repair, to all makes and models of private, electric and commercial vehicle. 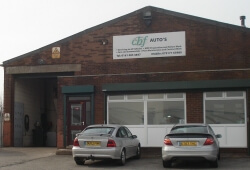 With over 20 years experience here at CHF Autos we are able to provide a complete maintenance and repair service, with all work carried out by our fully trained and qualified mechanics. The services we provide cover everything from a routine service or MOT to monthly scheduled vehicle inspections. We can even complete engine and transmission rebuilds. All our work is guaranteed, and is carried out to the same exacting standards that we apply to our own vehicles. Call in and see us for a no obligation quotation or contact our accounts team to set up a credit account for your company vehicle servicing. Friendly service and appreciated explanation of the work that had to be carried out after my car failed its MOT. CHF Autos look after our fleet of vehicles providing Acorn with an excellent service, prompt repairs and all for a reasonable price.